Note: This review was originally published on 17th March as a cinema screening review. This has been repurposed and updated for the home media UK release. When Code Geass first debuted back in 2006, it made a huge impact across the entire anime community. 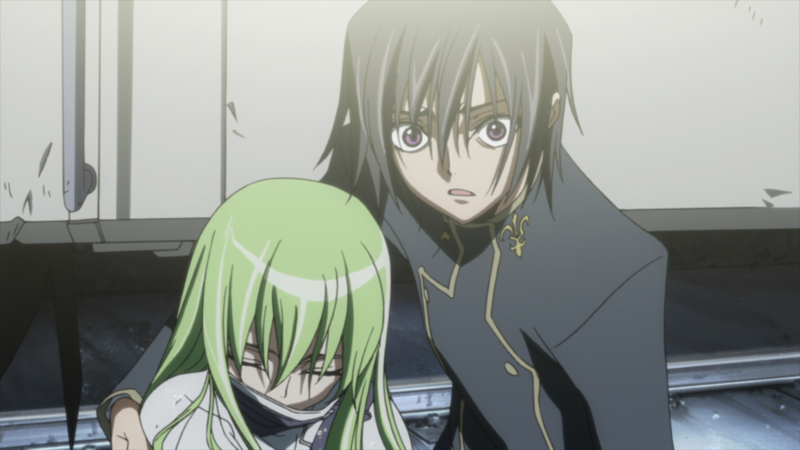 Whether it was because of the combination of dynamic animation from Sunrise and character designs by CLAMP, the bombastic nature of the story, the morally ambiguous but wholly watchable nature of its lead Lelouch, or the excessive use of Pizza Hut product placement – it was THE series to watch back in the day. 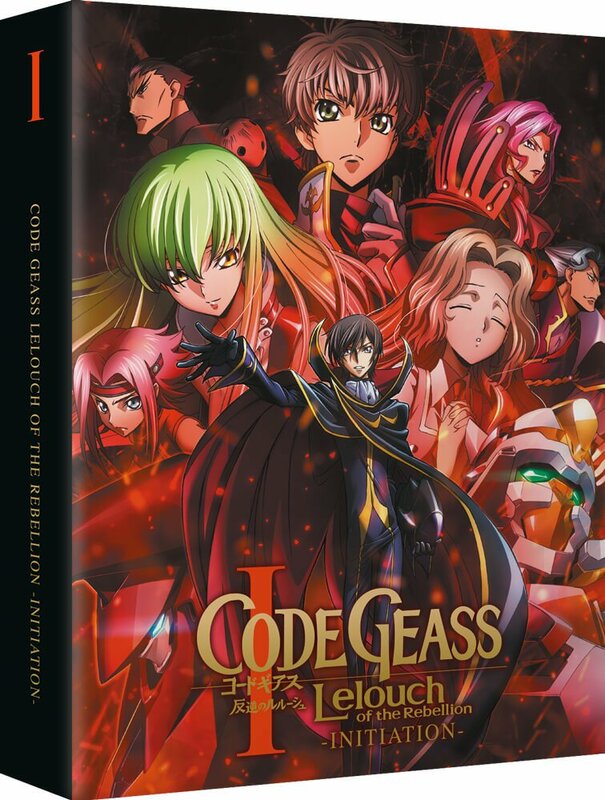 Now 12 years later, with two anime seasons, lots of OVAs (some of which are currently in UK license limbo) and tons of manga adaptations under its belt, Code Geass is still remembered very fondly, and it’s the unwritten rule for a popular anime series to be adapted into feature films. Three movies have already been released in Japan, with a fourth due next year, and Anime Limited kindly brought the very first film (Initiation or ‘Awakening Path’ as it’s known in Japan) to UK cinemas earlier this year, on top of now being the first English territory to release it on home media. But how does this huge story translate into a movie time frame? And has the story stood the test of time? In an alternative reality, the Holy Empire of Britannia has conquered the world, with their imperial family dominating countries and stripping former authorities and civilians of their national pride, including Japan which has been renamed as ‘Area 11’ and its people ‘Elevens’. Lelouch is a member of the imperial family alongside his little sister Nunnally; however after the death of their mother, their father exiled them to Japan/Area 11 and they were presumed dead by the Britannian empire. Now a teenager and living under a new identity, Lelouch meets a mysterious girl named C.C. and is given the power of ‘Geass’, allowing him to control someone with a single command. With his new God-given gift, intelligence and insider knowledge of the Holy Britannian Empire, he takes up the mantle of the mysterious rebel named ‘Zero’ to give hope back to the Elevens and gain his revenge against his own family. Initiation covers the first 17 episodes of the original TV series; that’s a lot of content to cover but the good news is that tons of filler is cut out. The most common complaint about the original series was the constant flashbacks to Lelouch’s school, and the various silly but ultimately fruitless antics that happened with the school council and Lelouch’s role in it. Aside from the one or two scenes that the series could not avoid for plot reasons, everything else is gone (yes, including the silly cat burglar event). There’s a lot of extra battles and emotional drama left on the cutting room floor as well. For example, everything that happens between Episodes 6 to 9 of the original show is either completely gone, or only shown as incredibly brief scenes in a montage, so many of the side characters and over-complicated political drama is nowhere to be seen. Considering how brisk the pace of the series was, how messy the Britannian Imperial Family tree is, and the multitude of resistance parties that exist in this universe, it was a necessary sacrifice to keep the main plot as lean as possible to tell over a movie’s running time. However, despite a lot of the cut choices being smart ones, there’s a lot of smaller edits that also work against the film. 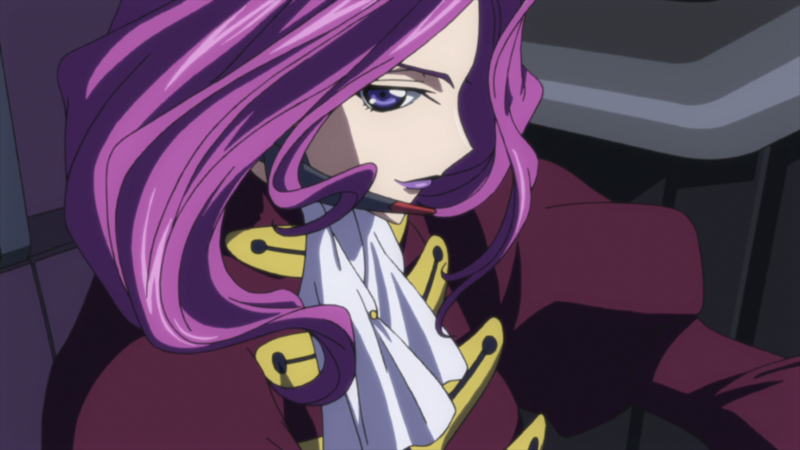 The most notable is the character development; as a lot of the side characters (most notably Shirley and Euphemia) have had their roles drastically reduced to glorified cameos; so all their side plots, the emotional depths they brought to the original story and how sometimes they threw Lelouch’s overall goals into a questionable light, are completely gone. Even the main characters that still get screen time suffer as a result. Lelouch is fun to watch, regardless of what he’s doing, but he’s now more of a cypher than a fully realised character; gone are his internal struggles with what he’s doing or how to go about it, and Suzaku’s dim-witted stubbornness is cranked up to 11 here with little context given to back it up. The cuts made, however, are not just to fit the new restricted running time, but also to ADD new footage into the film. Whilst these scenes are mostly few and far between, they are enough to make a large impact over the whole story. The most significant is the relationship between C.C. and Lelouch, with a new section added to not only bring the two closer together but also get the audience to learn more about C.C., which the original anime kept close to its chest until R2. There are also a few smaller scenes involving the Royal Family which seem to be setting up one the bigger twists that came in R2 much earlier on, in order to make it seem less left field, but whether the movie’s intentions actually fix the problem has yet to be seen. Despite the cut content and new scenes, the flow and tone of the movie is all over the place. As previously mentioned, Code Geass has always been an incredibly fast-paced roller-coaster, for better or for worse. However for a movie, there are different rules on how to pace it compared to a TV series, which this film doesn’t care to follow. There’s no sense of act structure or building towards something that helps push the movie towards a natural climax, although in some areas it comes close. From the opening up until Lelouch gets his powers is very much the ‘Act 1’ formula, and the Narita mountain action sequence ramps up the tension perfectly with its well-paced battle strategy and an equally satisfying emotional pay-off at the right moment. But the rest of the movie happily jumps around from scene to scene, from location to location, and doesn’t stop for anything. This has the unfortunate side effect of making the more tender moments, such as Lelouch’s and Suzaku’s reunion, fall flat, and all the battle scenes start to blur into each other. It’s a movie that really plays out like a ‘biggest hits’ compilation rather than a structured motion picture. Speaking of greatest hits; all the original tracks from the show are re-used here, so Kotaro Nakagawa and Hitomi Kuroishi’s score features predominately thoughout the movie with the return of COLORS from Flow as an opener. The original Japanese cast also return, even re-recording all their lines for the film trilogy, so there’s something new to hear, regardless of the recycled soundtrack. It’s important to note that this release does NOT come with an English dub, only Japanese dub in 2.0 and 5.1, with English subtitles of course. This limited edition release from Anime Limited is available as a Blu-ray only, and interestingly the disc itself comes with no extras, which admittedly is disappointing. However the set does come in a rigid case, with 8 art cards and an A3 poster. You can see lots of lovely photos of the extras on Anime Limited’s blog here. Code Geass: Lelouch of the Rebellion 1 – Initiation is best experienced if you’re already a fan, keen to enjoy all the bombastic and explosive glory of the original series plus some new content in glorious cinematic quality. I would not wholeheartedly recommend it for newbies due to the cuts that mean much emotional depth is sorely missing here, but for fans new and old, this is a fun movie experience that will hopefully bear better fruit and new story development in the coming sequels. Code Geass: Lelouch of the Rebellion 1 – Initiation is best experienced if you’re already a fan, keen to enjoy all the bombastic and explosive glory of the original series plus some new content in glorious cinematic quality. The first film in the new Code Geass compilation trilogy has been discovered on a cinema listing. In addition there’s also a listing for Maquia also.